Your preschool in Gilbert is more than just playing with blocks and finger paints. It is also the first step in early childhood education. 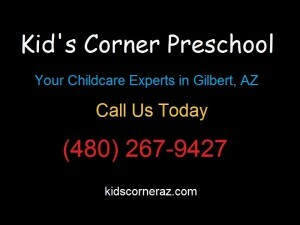 Your Gilbert preschool is a key step in early childhood education for your child. Early childhood education is defined as a branch of education theory which is a sum of all the learning (both formal and informal) that a child receives until the age of 8. Early childhood education (ECE) is a very integral part of the development of an infant into an adult. This is because the first steps of a child’s educational journey are begun in this stage. Early childhood education has been around for a very long time. The very first seeds of ECE were sown by the pioneers: John Locke, Jean Jacques Rousseau, and John Comenius. The earliest resemblance of a curriculum however were developed by people such as: Rudolf Steiner, Friedrich Froebel, Johann Pestalozzi, and Maria Montessori. In recent times, it was further grounded scientifically by the works of Jean Piaget, Sigmund Freud, and Erik Erikson. However, the common principle of ECE has always been the same since its inception. The principle being that the curriculum and practice of early childhood education must cater to the abilities, interests, and needs of the growing infant. The Kindergarten Program which was developed by Friedrich Froebel adhered strictly to the principle and as a result, was the earliest program to be adopted all over Europe. One of the driving factors of the success of the program was the Industrial Revolution and the fact that women were gradually being introduced into the work force of the factory. The next early childhood education program to follow Friedrich’s program was developed by Maria Montessori but it was not as widespread as the former. Even though they were not fully integrated into the education system, the works of Friedrich and Maria laid the ground work for the ECE program. Early childhood education will help cultivate good communication skills in a child at an early age. This is a tremendous impact on the child for as we may know, a child that knows how to communicate their needs and wants properly to the parents are generally easier to care for. Early childhood education gives your child a lot of advantages. To get them this start, there is something that you must do. You should enroll your child in a preschool in Gilbert, AZ. How Important is Socialization in Toddlers?